the harding's: the story of jane. I didn't plan to write out my birth story. 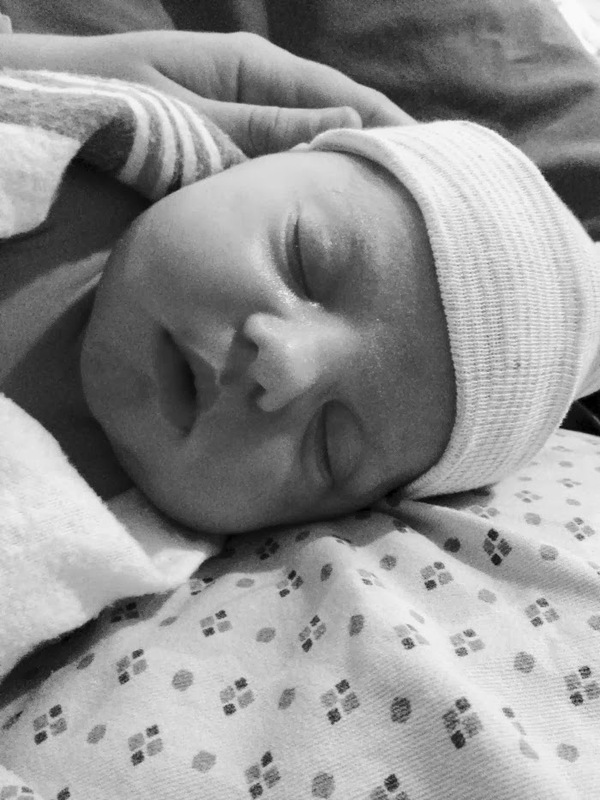 But as the days go on and the nights get longer and my mind gets sleepier, the memories of that sweet night start to get a little foggier and foggier-- and I don't want to forget the way our perfect girl came into the world. So I will write it out and it might be long and rambley, but at least it will be remembered! Throughout my pregnancy, I had an itching feeling that our girl was going to be late. I'm not exactly sure why, but I guess those mama instincts are on point. Jane was due on December 3rd, and when that day came and went I was still feeling pretty calm and relaxed about her arrival. Our midwife was well aware of our desire to go into labor naturally and promised that she wouldn't even speak the word "induction" to me until we were past 41 weeks. Well, 41 weeks came and went and our midwife decided we should probably set a date to induce. She really wanted to set the date for a day that she would be on call, so that she could be the one to deliver (which we would have LOVED) but the only day she would be on call was Friday, when I would be 41w3d. We tentatively set the induction for that day, but I didn't have a peace about it at all. At this point I was pretty emotionally exhausted and beyond ready to meet our girl, but as we left the hospital I knew if she didn't come by Friday that I would want to push the induction to Monday. All along I was certain she would come when she was ready and I didn't want my emotional exhaustion in the moment to overrule my greatest desire for labor. As Thursday rolled around and there was no sign of baby, I went in to see my midwife and told her we wanted to wait until Monday, when I would be 41w6d, to give Jane the weekend to make her arrival. Our midwife agreed that this was a good decision, and asked if she could check me before I left to see where we stood. She checked and excitedly announced that I was walking around at 5 cm dilated and completely effaced. Without a single painful contraction. Amazing. She sent me home to walk, climb stairs, and do all the other things that make babies come out. Friday came and went without any action, and as Saturday rolled around Brian and I woke up with one goal in mind-- get the baby out. Luckily, our minds were distracted with the anticipation of my parents arriving that night. We did a quick clean up of the house and then went down to the beach to walk, walk, walk. As we were walking, I was definitely feeling to twinges of pain, but they would stop whenever we stopped walking. I got tired and decided that I needed food. I chose our favorite indian restaurant to gorge myself with spicy curry. We went back home feeling a bit defeated and sat down on the couch to watch a sermon. At exactly 2 pm I felt what was my first painful, low down, aching contraction and as I stood up to find a more comfortable position I felt a little pop and a gush of fluid. And oh, how excited I was. From there it got pretty intense pretty quickly, with contractions coming about 2 minutes apart from the get go. I got into the tub to labor for a little while, which helped tremendously while Brian called triage to see when they thought we should head to the hospital. We stayed home for a couple more hours moving from place to place around the house trying to find any position or place that relieved some of the pressure. All that I really remember is that the back pain was incredibly intense, and I remember praying that didn't mean she was in a posterior position. When the contractions were coming one right after another, we decided to head in. When we got to triage and got checked out, I was at 6 cm. The doctor that checked us suggested that if we wanted to do this thing naturally, that we go walk for a bit and then come back a few hours later. I remember thinking, "I cannot possibly walk anymore. I've been walking for 2 weeks trying to get her out." 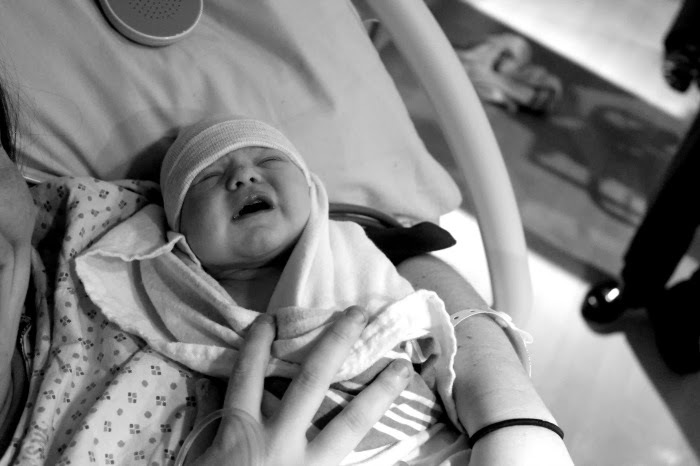 But knowing we wanted a unmedicated labor, we left labor and delivery to walk the halls. Literally the second we stepped out of labor and delivery, it got REAL. I mean, really real. I felt like my back was ripping apart and I clutched onto Brian through every contraction. We tried to walk down the hallway, but I could no longer walk and just held onto Brian for dear life. At this point, I started feeling that panicky, out of control feeling as my body was taking over and doing what it needed to do. I just couldn't handle the back labor anymore and I begged Brian to take me back into labor and delivery and find someone that could give me an epidural. I needed relief. Brian, being the sweet man he is, reminded me that an epidural wasn't what I wanted and that I was strong and that I could do this! And I was all, SCREW THE PLAN and get me an epidural. And he was all, Yes ma'am. We returned to labor and delivery and Brian let the nurse know we were ready to be admitted and that we needed an anesthesiologist ASAP. Our biggest fear in getting the epidural at this point was that it would slow down or halt the labor, but I just couldn't handle the back pain anymore and didn't care at this point. They did a quick ultrasound before the epidural to check the baby's position and realized that she was sunny side up, face up, in a posterior position, which explained the back labor. Next thing I knew the anesthesiologist arrived, gave me the drugs, and I was a much happier person. The doctor came in 30 minutes later to check me, and I was at 9 cm. I just remember her saying, "I'll be back in an hour and we will do this thing." At this point, our sweet friends were arriving to the airport to pick up my parents and bring them straight to the hospital. About 30 minutes later, my parents arrived at the hospital and when they walked in all I can remember saying is, "Hey mom! Hey dad! Welcome to Japan! I'm about to push this baby out." At about 11:50 PM, the doctor came back in and announced that it was time. At this point, I had started shivering/shaking pretty uncontrollably and was throwing up-- all which the nurse thought was signs of transition-- but ended up being a sign of an infection in my water. The nurse took my temp and I was at almost 104. The doctor looked at me with concern in her eyes and told me, "if you don't want a c-section, you have to push with all you have. We have to get this baby out." 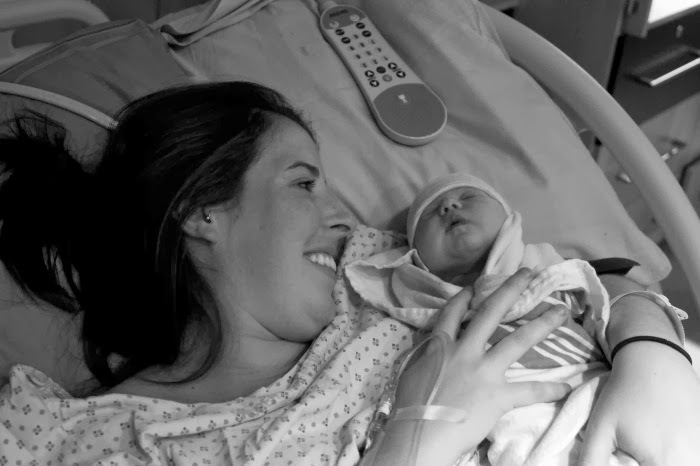 They called in the NICU team, knowing that Jane was sitting in infected water. I pushed for a total of 1 hour and 13 minutes, and remember my mom saying, "Kenz, she's here" and looking at my husbands beaming face as our little love came into the world at 1:03 AM on Sunday, December 15th with a loud cry and a head full of sweet, wavy black hair and a squishy little face. I pulled her up onto my chest and immediately fell in love. I knew that she was burning up with fever as soon as I touched her and I begged them to let me do skin to skin for a few minutes before they took her away. When they took her temperature and she was running 103 degrees, so they immediately took her from me to look her over. My favorite memory of this time is yelling across the room to Brian as he watched them check her out, "Is she cute??" and his response, "I'm not really sure yet babe, the cone head is really throwing me off right now." All the medical staff let out a little chuckle at his response. Unfortunately, due to the infection and a low blood sugar reading, they ended up taking our girl to the NICU for the next 36 hours. She proved herself to be a strong little lady as she was poked and prodded and stuck with needles multiple times. These hours are ones we are not quite as quick to relive-- as though they were short, for new parents they were scary and sad. My emotions were running high and we felt helpless and exhausted, but God was so faithful. 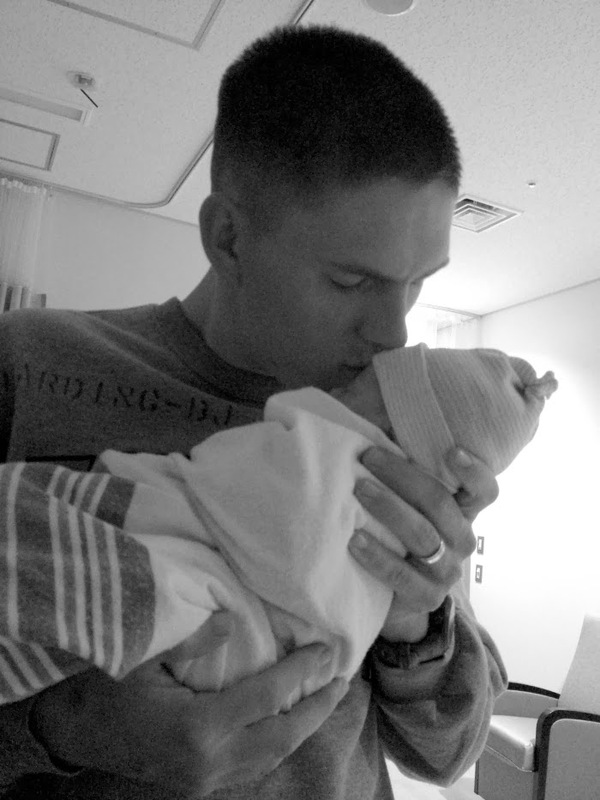 He showed Himself mighty in our little girl as she healed quickly and was returned to us in a short time. 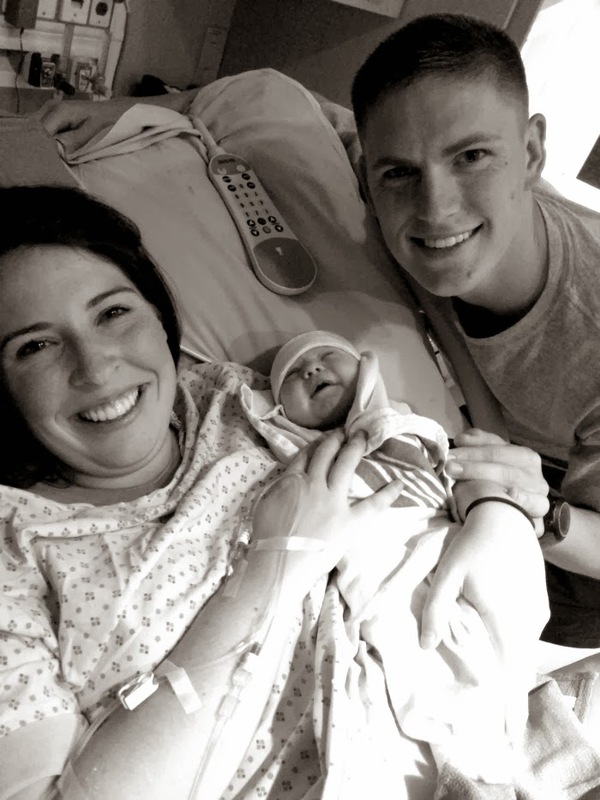 When we were at our lowest physically and emotionally, God revealed Himself to us through a specific NICU doctor who took time out to talk to us, pray with us, and literally shed tears with us over OUR daughter. He prayed she would grow up to know the Lord and that she would change the world through His Spirit. 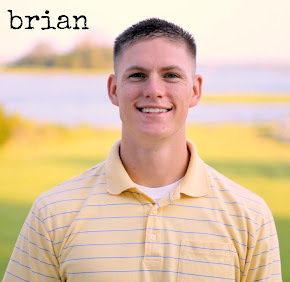 He prayed that our marriage would grow stronger and stronger and that Jane would know love through how Brian loves me. He reminded us that we are writing Jane's story, no body else's and that we know how to best parent her. God knew that we were in need of some encouragement and soul refreshing after a long couple of days, and He provided-- as He always does. Though our story was not exactly how we envisioned it, God was faithful and He was present and we have a beautiful, perfect, scrumptious little girl that we cannot believe belongs to us. Oh, this put tears in my eyes! McKenzie, I am so so so happy for you!!! What a story. God was so faithful. That part about the NICU doctor is just so precious, and I am so thankful to God for supporting you and giving you what you needed every step of the way. Praise the Lord for you little Jane! Cried my little eyes out! I love that you shared this story, it's a wonderful one. And I love the humor at the, "Is she cute" part of your adventure. I am so happy your parents made it just in time too! Yayy for healthy baby Jane! Xoxox! You're a rockstar momma! I'm crying over here! I am so glad you shared your story about sweet Jane. I am so glad that all is well and the little girl is happy. You guys will be amazing parents and examples of God's love to Jane. This is just precious. Love you guys and can't wait to meet your little Jane! Good job lady! you have been on my mind for the past few weeks since I heard you went in. Miss seeing your smiling face at church. Also really glad your mom was there for you as well. LOVE this. So precious that you have it all written down and you can literally see God's hand all over her life. Already. She's darling and so are y'all. Well you know I love this. So glad you wrote it down! She is just the most precious thing. KENZ! Sitting here balling my eyes out! What I would give to be able to hug your neck and squeeze that mushy little Jane!! Thanks for sharing so much online. It's almost as good as being there with you. Please give Jane some NC love from me! Your story is so beautiful! Thank you for sharing it with all of us! Sweet little Jane is blessed to have such wonderful parents. I think that last picture of Brian holding her is my favorite. What a sweet moment to catch on film. Much love! I love birth stories...all of them! Congrats, and thank you for sharing yours! Your little princess is absolutely beautiful! I am so behind on reading but I am SO GLAD I took a moment to catch up on your blog! This story is beautiful and brought tears to my eyes! I wish my parents remembered the little things about the day I came into the world... such a great idea to write it down! You have such a beautiful family and I love reading about your walks with God! Thanks for sharing!